Interests:General Local History. Coal Mining History. Photography. I think it was somewhere around the beginning if the 19th century? how many men were employed, any accidents or disasters E.T.C. Just these brief mentions so far. 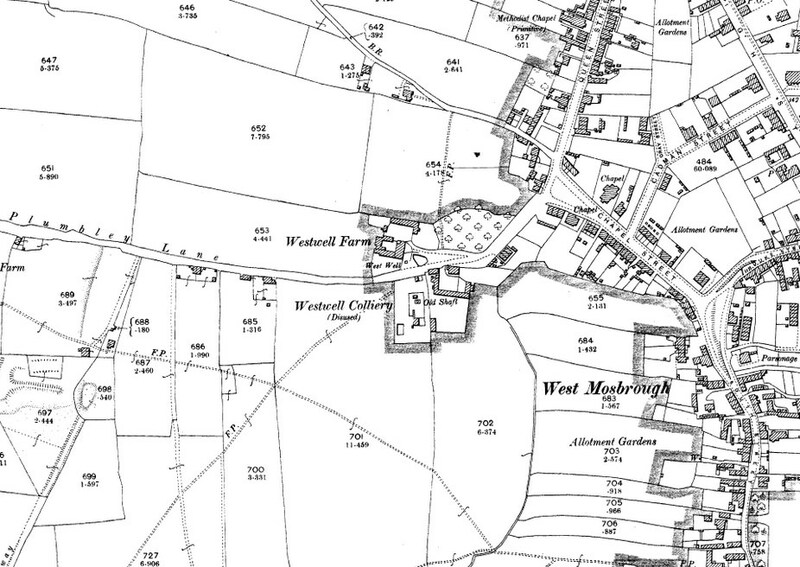 Westwell pit in mosborough was capped in the early 1900's. The shaft is over a 100 feet deep. "A collier all his working life from 12 to 66 he started work at Seldom Shaft which linked to Westwell pit. Always chasing the money he worked at the following pits - Beighton, Holbrook, Westthorpe, Waleswood, Elsecar, Edlington, Brodsworth and Hickleton." 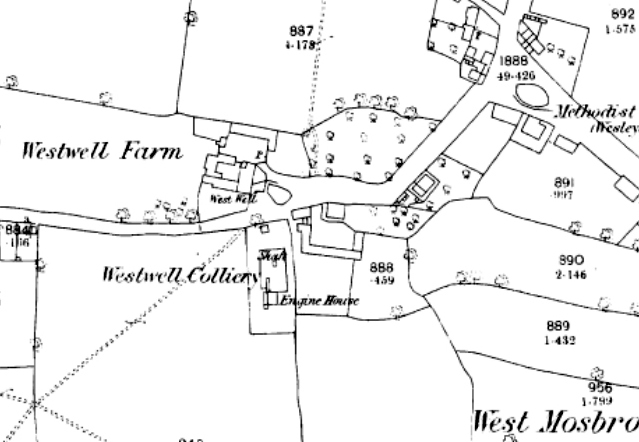 March 1878 – There had been a number of thefts from J. and G. Wells’ Westwell Colliery. The underviewer Harry Bargh and timekeeper John Hurst gave testimony at Eckington Petty Sessions against William Chambers (an engine tenter of Mosbro’) and his wife Ann. The thefts were of coal, a brass pan, a pick and a wheelbarrow. November 1901 – Nuttall died from his injuries and at Chesterfield County Court J. and G. Wells offered compensation to his widow and five children (all under 13) of three years wages, £243 less £99 paid to the deceased in instalments. The balance, £144 should be divided by paying the widow £44 and investing £100 to be withdrawn in monthly instalments of £2. J. and G. Wells also owned the Holbrook, Plumbley, Renishaw Park and Hornsthorpe pits. Where was the westwell pit? Plumbley Lane, as it was. Thank you to all who gave the little snippets re Westwell colliery. I have been able to get some more information myself and will post it tommorow for every one to see. The Wells family built fairly extensive properties in Mosborough and contributed, financially, to the building of St.Mark's Church in the village. This financial support extended into the 1930s when a family member paid for the conversion to electricity for the Church. was it an engine pit? Joseph Habershon Wells esq. J.P.
Mosborough Hall, the property of Joseph Habershon Wells esq. J.P. of Eckington Hall, is occupied by Joseph Bradbury esq. As promised, here is the information that I have put together about Westwells Colliery. The Colliery was situated on Plumbley Lane Mosborough. It was on a North Western elevation, with an inclination of 1in 9 .towards Eckington. It was owned by J&G WELLS Ltd and the downcast shaft was sunk to a depth of 46 yards around 1876 into the Blackshale seam of coal . A cross section of the coal seam in the pit bottom at the time of sinking was Top coal:- 2' 6".Dirt Band 13". Bottom coal 1" 9". The upcast ventilation shaft was 24 yards deep and situated on the Western extremity of the workings. Westwell Colliery was only a small concern with a working area of approximately 17x16 chains at its furthest reaches; that's roughly a 1/4 mile square. Roads were driven in the South Western corner of the workings which coupled up with the Plumbley Colliery making for better ventilation and a secondary means of escape should the need arise. This information was taken from A. F. Sutcliffes surveyor's report for J&G Wells Ltd, Dated August 18th 1908, but the colliery was capped in 1901. The four posts above are also very informative.many thanks. Is the shaft cap still there? Sorry I can't answer your question because I have never visited the site ,someone else may be able to oblige? Yes the cap is still there for the air shaft at least. It is partially in my garden but can't be seen although the coal board have recently inspected it. How they do it I don't know, there was no sign of digging as when they came I was out. The report says it is 6 feet in diameter, 100 feet deep and is capped with a 10 foot capping.